EZ Accessory Blog: What Makes a Quality Wheel Adapter? What Makes a Quality Wheel Adapter? Do you have custom wheels, and want to ensure that they fit perfectly? Custom wheels come with different bolt patterns that often don’t line up with the ones on your vehicle. Thankfully, this is where wheel adapters come in handy. Wheel adapters are used to put a wheel on a vehicle that it would not typically fit. In this way, you can mount custom wheels regardless of the bolt pattern. It's crucial that you use wheel adapters made out of quality materials. Doing so keeps you safe and your wheels working correctly. Let’s take a look at some key aspects that make a quality wheel adapter. If you want to know that you are purchasing a quality wheel adapter, you need to verify that the quality of the material used. To make the most reliable and most durable wheel adapters, manufacturers typically use billet aluminum. It's a safe material that is usually stronger than the original wheel itself. Ensuring that you purchase wheel adapters made out of a durable material such as billet aluminum makes for a quality wheel adapter. The wheels of your car play a vital role in how your vehicle handles. Owners often add aftermarket wheels to their vehicles in order to improve the overall handling. A quality wheel adapter should aid in the improvement of the way your car handles different road types. To achieve this, they create a strong fit that keeps your custom wheels secured at all times. Wheel adapters that do not work correctly can cause the handling of your vehicle to decrease significantly. One of the concerns that most people have with custom wheels is safety. 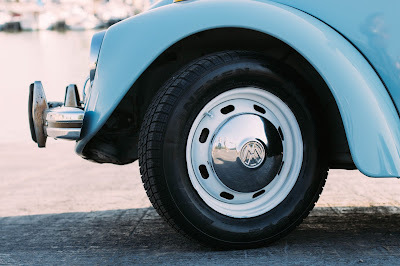 Improperly securing wheels onto your vehicle is known to cause significant problems. Besides improper application, the quality of the wheel adapter can have an adverse effect on your safety. Yes, you want a quality wheel adapter made of durable material. You also need a secure fit. Both are equally important. By choosing quality wheel adapters, you can guarantee your wheels are ready and safe to drive. Wheel adapters are essential when it comes to properly attaching aftermarket wheels. Quality wheel adapters ensure that your vehicle rides smooth while keeping you safe. At EZ Accessory, we carry quality, billet aluminum wheel adapters to fit anyone's needs. Our wheel adapters are checked thoroughly to ensure that they are up to quality standards. Check out our wheel adapters on our website or contact EZ Accessory at 1-800-505-8758 today.